The Wii to Wii U system transfer may not be the most flexible or easy process, but we should be pleased that it is available, allowing those anxious for access to their WiiWare, Virtual Console and Wii save data to carry on with their shiny new system. The excellent LostWinds was an anomaly, however, as it was a game that could not be transferred. Thankfully, and oddly considering the time that's passed since the Wii U launched, that's now changed. A message on the Wii Shop — posted by the Wii Shop Channel team, evidently still a thing — says the following. We would like to inform you that a new update is now available for LostWinds. This new update allows the title to be moved to a Wii U console using the system transfer application. Please download this update and perform the system transfer again to transfer LostWinds to your Wii U Console. That's from our European system, and we expect it'll be the case in North America too. Are you rushing to hook up your Wii to get this one transferred? Thanks to Bobobiwan for the heads up. For a second I thought this was an HD remastering for the Wii U eShop, as say, Flowerworks HD. Oh well. I was wondering about this the other week. I assumed that as so much time had passed that this would never be available on the Wii U. So that makes it so that every game on the Wii Shop can be transferred and played on the Wii U in Wii mode? With the exception of VC titles pulled from sale like DKC. Well how do I transfer it if I've already done a transfer? Wait a minute... If you do another Wii to Wii U System Transfer, doesn't the 2nd transfer overwrite everything you already transferred to the Wii U the first time? @OdnetninAges I'm not sure, but if that's the case it makes this pointless for most current Wii U owners myself included. @Mattiator Yes and the exception is only valid if you didn't purchase the games before they were pulled. If you did purchase them, they do transfer and are playable in Wii mode. So people who have LostWind were forced to make a partial transfer that now can be completed with a second transfer? I don't know why, but I find the process behind this matter interesting (no sarcasm >_>; ). @Grumblevolcano At least here in canada, one of my friends who owns a Wii U wasn't able to transfer his copies of all three DKCs from his Wii to his Wii U if I recall correctly. @Mattiator I was able to transfer DKC1-3 in the US. @OdnetninAges I would love to find out without risking it. @OdnetninAges I don't believe that to be the case. If data exists on both systems - sava data, for instance - then the data from the Wii console will overwrite the data on the Wii U console. However, I don't believe data that's already been transferred is removed if it doesn't exist during the latest transfer. I won't risk it. I've all but forgotten Lost Winds anyway. So is Lost Winds still on my Wii's account? Can't they just tell my Wii U's Wii Shop Channel by looking at their records of my last transfer and tell my Wii I can't play Lost Winds on it any longer? It's 2014! I know the transfer process is DRM but it just seems like a big waste of Nintendo's time rather than solving a legitimate problem..
Having said all that, I might do this transfer, just so I can see the Pikmin at work again. @OdnetninAges only save files for duplicated games get saved and some DLC gets erased if its for the same game but different items. I've transferred 2 Wiis to my Wii U with no problems except lost winds and lost save files and some guitar hero DLC. There's still a Wii Shop Channel team? I will never do a system transfer, if only because then my Brawl data will be on a machine without GameCube controller support. OK I've done the transfer, and guess what? I updated Lost Winds, and used the transfer tool and it transferred nothing. It even said that Lost Winds was not transferrable when I ran the transfer tool. Can Nintendo actually do anything right? I still won't transfer my Wii data over to the Wii U. Call me crazy if you like but I'll keep my consoles exactly as they are and not wipe all their data, thank you very much. @EarthboundBenjy Might not be the best solution, but you could get a GC to WiiU adapter. @Nintenjoe64 deleting data from my Wii u as suggested in previous posts. I guess I'll be asking my bro to bring the Wii over. I just figured they left it at that, especially after so long... Coincidentally, my brother and I were talking about this just a few days ago. The creators of Lost Winds are almost entirely to blame, but there was no way they could have seen this occurrence happening when this game came out. You do realize that this game came out like 6 years ago? It didn't work for Wii U, so if anyyone was able to do anything, it was the devs of Lost Winds. 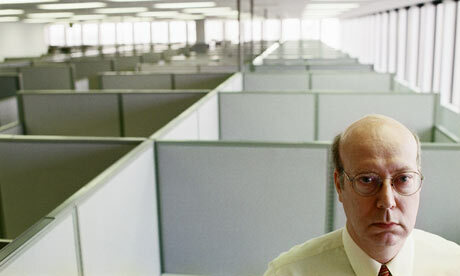 Nintendo isn't going to partially recode an indie Wii Ware game for said indie dev. @SCAR392 Nintendo and Frontier have obviously been responsible for this update that is supposed to work now. I had no concerns at the fact it didn't transfer 2 years ago - its the fact it STILL doesn't work. I wish a lot of these games could come out on the eShop. This is no good for me as I have not been able to access the WII SHOPPING CHANNEL for over 6 months it just never loads, i don't know what to do about it. Has anyone else had this problem?, the only thing I have thought about doing is formatting my Wii U but then i lose everything and i really dont want to have to complete all my games again because of Nintendos stupid system of not being able to back up anything. I just tried to transfer LostWinds. Sure I followed all the instructions but it still doesn't work. Suppose I'll try again tomorrow in case I'm missing something. To get things clear: A direct download in Wii Mode wont be possible ? I need a Wii to transfer the game over ? That is rather rediculous to be honest, since, as far as im informed, that will overwrite the currewnt system instead of "adding what is missing"...weird. @Einherjar doing the transfer a second time doesn't cause any problems but as I've said above the Lost Winds transfer still doesn't work anyway. I did try to repurchase in Wii mode, before i tried the transfer, but it is not available in the Wii shop channel on Wii U. @Sonic_Phantom you aren't missing anything. It doesn't work. @Brickbuild101 To keep it running for those wanting to still buy games, removing games requested by other companies (The recent removal of that Burgertime game for example), sorting any glitch issues, adding the very rare new Wiiware game (It has happened once in a while), etc. I can confirm that this works!!! I was able to transfer my Lost Winds game and save file from my Wii to Wii U, and it did not overwrite or delete any of my other games or purchase data from the last transfer I did. You do not have to worry about losing anything. Warning though. If you have save data, like Super Smash Bros Brawl for example, on Wii and Wii U, the Wii version will overwrite the Wii U version. So if you don't want this to happen, either move the Wii version on another SD card or delete it before you do this. The Transfer Tool will warn you about this. @BJQ1972 Well, that also rather unfortunate, since i dont have my Wii around anymore, my mom has it atm. I hope that they will soon add it to the Wii Mode eShop list for people who got rid of their Wii or are in other ways unable to transfer it over, since i sure miss this game. @Link-Hero I'm confused now. Did you transfer the files manually or did it do it with the transfer tool? When I tried it just transfered the shop Channel data and nothing else. @BJQ1972 I used the System Transfer Tool. Your issue might be that your System Transfer Tool is not up to date and you need to download the update on the Wii Shop. I had to for both Wii and Wii U before I could do the transfer. I loved LostWinds but I'm not sure I can be bothered with going through the transfer process again, especially if the save data needs to be backed up and restored. Does this also mean I can buy Lost Winds on my Wii U from the Wii shop channel? @Link-Hero I didn't have them so redownloaded them before the transfer, as well as updating Lost Winds itself. It is strange. @BJQ1972 Then it's probably some issue with your Wii. Contact Nintendo if you can to see if they can solve the issue. This is great news, if it works. I think of it as karmic payback for buying (and enjoying) Coaster Crazy Deluxe.. a darn cool game. But I have the same question as those above: how does this impact all the other data I've already transferred. But maybe I'll give it a shot and hope it works as it should (additive to the data already transferred). Its another fine mess Nintendo has got itself into and will ignore. its not just Lost Winds. I don't see why they didn't have the account system for instant download when its most loyal costumers bought the Wii-U in the first place. People who bought Wii-U's should have been able to download everything they had on Wii from day one. What in the world are they thinking. Now (puts hands together) do Flipnote Studio. What if we have other games on the Wii, do they transfer too? Finally! Been waiting to do the transfer, and was going to give up waiting on being able to transfer this game. No one mentions ToriBash: Violence Perfected! ToriBash along with LostWinds were my two games I couldn't transfer. I hope ToriBash is now transferable too, and not in 2 years!! Crazy, I was just looking at the SD card menu on my Wii U yesterday and thinking we'd never get to have LostWinds on it. Interesting to hear about Toribash, though. Has anyone else had troubles transferring it? @JaredJ I just looked at the Wii Shop Channel in Wii Mode on my Wii U and looked up LostWinds and it was on there. I tried looking a while back and it wasn't there, but it was there today. Boy, I'd love a Lost Winds sequel in Wii U...I loved that game. @Brickbuild101 there is still a wii shop channel? @Jampie Do you remember off hand how many Wii points it costs? @kokirii I think 1000. I can double check again if you'd like. @kokirii Yup, it's on there for 1,000 Wii Points. regardless if the transfer works or not they need to make lost winds 3HD now!!!!!!!!!!!! Like @Sonic_Phantom, I've downloaded the update but still can't do the transfer. LostWinds shows up in the list of software that can't be brought over and sends me back to the Wii Menu, since there's apparently nothing I can bring over at all. I'm in Australia, btw, but since I downloaded the update and everything I don't see why I'd be having an issue with it. Wait so I need my original Wii around to be able to complete the transfer? Why couldn't they have at least sent us a download code on our Wii, for us to download it on WiiU. I loved both LW games, but not really wanting to do ANOTHER system transfer. @ToxieDogg You can create a new NNID and set that to Australia, I do the same to access the UK Wii Shop Channel and it's how I transferred a few Europe-only WiiWare titles over — even after the new NNID rules came into place. Just remember that when you select the Australian NNID you also have to set the region of the console in Settings to Australia as well, otherwise you'll just get error codes when you try to go online. Hope this helps you get Axelay on your Wii U! Edit: And yes, you can switch the regions back again after, no worries. Make sure you have no credit on your Wii Shop Channel account before doing all this though, or you'll lose it during the change. The Wii U eShop is unaffected by the process, but I'm unsure if it will be affected if you try to access it before you change the region back. Thank you David Braben and Frontier Developments! I had small hope that this would still happen and I'm so super happy that it finally was achieved! I just hope the actual transfer can be done somehow easily, it is a pain if it starts copying something else also since I have done new save files for some games on my Wii after doing the Wii to Wii U transfer and I definitely don't want those to be copied over to Wii U now since those will go over the files I did in the first transfer. You could transfer your Brawl data onto a separate SD card, leave it out during a system transfer and then put it back in the Wii afterwards? Tried this again this morning and it does not work. Since I did a transfer yesterday it tells me I have no data to transfer, and exits the transfer tool. Lost Winds in not available in Wii shop in Wii Mode either. I have a suspicion that some people are getting mixed up with Lost Winds Winter Of The Melodias which has always been available in Wii mode. @BJQ1972 LostWinds is available for me in the Wii Shop Channel in Wii Mode on my Wii U. I just purchased it a few hours ago along with LostWinds: Winter of the Melodias. Could it be that it's only available/working properly in the US at the moment? Yeah, except Brawl cannot be copied to an SD card. Arbitrary restrictions. Finally! I've been waiting with my Wii U transfer for this. I actually even lost hope and thought they didn't care about it anymore. But I didn't want to part the two LostWind games from each other. Now I can finally make that system transfer. @Jampie thanks for the clarification. I assume that Nintendo UK haven't completed the steps they need to to make this process possible - they have uploaded the updated Lost Winds, but maybe they need to tupdate some other things server side to let the transfer tool know that Lost Winds can be transferred. If people have transferred successfully can they post what region they are in, please? I'm happy that they finally got the game to be available on Wii mode through the transfer and in the Wii Shop Channel, but I'll have to repurchase it? I think I'll wait a little bit before I make any conclusions of what I should do to get my copy over to Wii U. Still not working for me in UK, such a faff... but I'm seeing a few people here say it works and the shop channel announcement is there, so I hope to resolve it eventually. @Mattiator i can play DKC games on my Wii U. Easily transferrable. I'm assuming that the game won't transfer till it's not avalaible on the Wii Shop Channel OF THE WII U - booted in Wii mode. In france, we still can't buy the game from a Wii U... So I guess we have to wait... maybe thursday or friday, a.k.a. the day when they update theirs differents shops. So I guess I'll try again at the end of next week. This is annoying... I set up everything, ready to be transferred. I downloaded the update for LostWinds. Then I deleted the game and redownloaded it. I even redownloaded the transfer tool. Oh man, does that mean if I do another transfer, just to get LostWinds on Wii U, it will delete my Wii game save data in Wii mode, and overwrite it with the data that's on my Wii? Man, I managed to clear this all up before the first transfer and it was hours of work, and now I have to do it all over again (and again when a solution for Toribash is out!) ? I even have to buy a new SD Card just for the transfer, so actually it's cheaper + easier if I pay another 1000pts for LostWinds, and another 1000pts for ToriBash to have them on my Wii U. Couldn't they hand out download codes and then lock the games on the original console? Especially frustrating because there is no official instruction and so much confusion. @EarthboundBenjy Not sure it is arbitrary. It should be possible to do because the exploit for brawl can be transferred. @Jampie I think you might be right. I think it's just a matter of waiting until Nintendo EU/UK get their act together. @zool oh, there's only risk of losing save data and DLC for certain games when transferring 2 or more Wiis to a Wii U. You just combine your purchases on your Wii U account. You can manage the save data on your wii before you transfer to stop it overwriting any data on your wii u, I transferred two Wiis to mine with completely different sets of VC and Wiiware games and only lost a few save files for games that I played on both Wiis and possibly a piece of guitar hero DLC but I've never checked. One of the Wiis was modded too and I had no problems except for when I disconnected my Wii while my Wii U was taking the data of the SD card. It halted the process and caused me a very scary hour where I thought I had lost everything. I am in Canada and the DK games transferred fine. Now bundle them in an HD remake with touch options please! I loved playing them, and that'd make me pay for them again! Hey guys just so you know this update isn't available in North America yet so don't waste your time with trying to transfer the game if you live in the region. I'm sure the update will be released soon through so you should keep an eye out for any announcements regarding this update. @Jampie Yes, I live in the US. It probably has something to do with where you live and it currently only works in the US for now. This is interesting considering when i went to go and re download it, i nvr found it on the shop anymore. LostWinds 3 where are you? The original from my own was the first and was no problem. Then simple do another transfer, it will ask you if you want to replace the wifi information and hit no, then just download the new games off the wiishop on your wii u! I agree. This should be easy for Nintendo. @Kolma You actually get asked the same question about Wifi with the Miis, before the Wifi question. Might save you some time later if you need another transfer. Lost Winds is now downloadable from the Wii Shop on Wii U in the UK (and probably the rest of EU) and the transfer can now be completed. I assume this means Australia too. Cheers for the heads-up! The problem with this is that to do a retransfer for LostWinds you'll be required to lose your game progress made on Wii U for online enabled Wii games (such as SSBB or Mario Kart Wii), as their save data can't be backed up on an SD card. In Wii mode Mii channel you can´t transfer Mii´s from DS or wiimotes. And you lose all your Mii plaza of wiiconect (so you can´t "save" there more miis if you have more than 100 miis in the channel). This transfer thing is a hassle... This game should be made available in the Wii U eShop. This nonsense is exactly why software purchases should be linked to the NID and not to the hardware! Common Nintendo, it's 2014!! 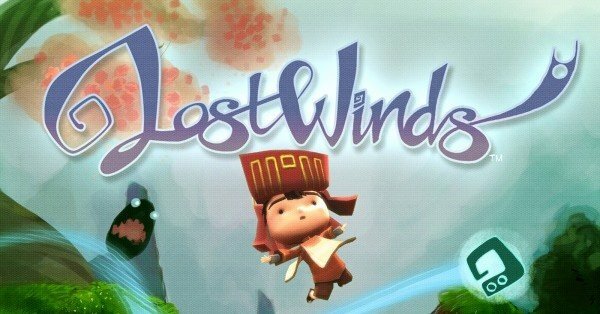 I want a new Lostwinds title! A big one, on a disc and on the Wii u!